Find out how history affects today's rates and what it means for you. You might not know that inflation, employment report numbers and political events like presidential elections affect interest and lending rates. Historical events over the last 100 years, however, have a lot to do with interest rates today. You've likely heard these terms on television shows that report on financial markets: prime rate, fed funds rate and discount interest rate. But if you're not quite sure what each one means, find out what these terms stand for and how they affect your current interest rates. The Federal Reserve controls the economy. 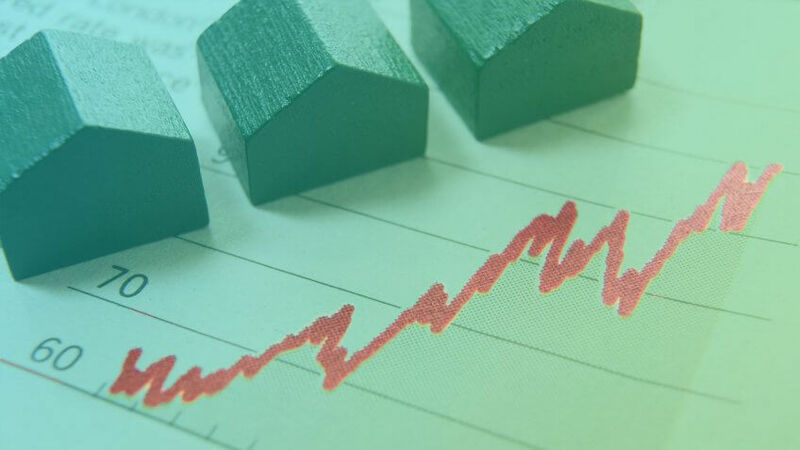 The federal prime rate, or federal interest rate, is linked to mortgage rates, certificate of deposit rates and money market rates. The federal prime interest rate is typically viewed as a lagging indicator, and financial institutions adjust their interest rates in accordance with it as economic conditions change. The fed interest rate is a benchmark that banks, credit unions and other financial institutions use to set prices for loans. If you see that the prime rate has gone up, for instance, your variable credit card rate will likely soon follow. When a bank approves a loan it will typically add a margin — based on the loan's risk level — to the fed prime rate to make a profit. Historically, when economic growth has been slow, banks have lowered rates to attract new borrowers. Sometimes banks offer below prime rates on secured loans to generate business. The Federal Reserve doesn't have a direct role in setting the prime rate. The target federal funds rate, which is set by the Federal Reserve Board, serves as the basis for the prime rate. When the Fed anticipates future inflation, it raises interest rates slightly to slow it down. In May 2017 — for the second time since December 2016 — the Federal Reserve increased the prime rate a quarter point to 4 percent. Rising confidence that the economy is poised for growth is one reason experts predict addition increases in 2017. 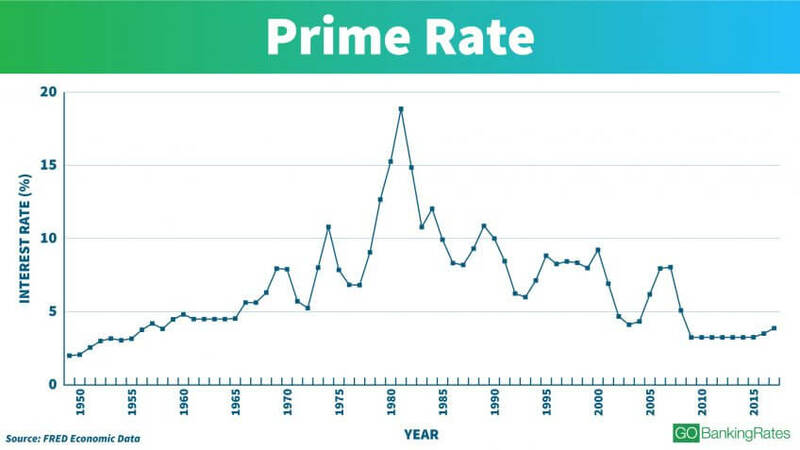 During the last 100 years, the prime rate has been much lower and much higher than it is currently. For instance, in 1949 it was 2 percent. By 1968 the prime rate had climbed to 6.31 and in 1969 it jumped to 7.95 percent. In 1981 it reached its highest point — 18.87 percent — since 1949. Although the prime rate had been around the 3 percent mark until 1958 — except in 1957 when it rose to 4.3 percent — it did not come down to that again until 2009 when it hit 3.25 percent. By 1968 the prime rate had climbed to 6.31 and in 1969 it jumped to 7.95 percent. In 1981 it reached its highest point — 18.87 percent — since 1949. Although the prime rate had been around the 3 percent mark until 1958 — except in 1957 when it rose to 4.3 percent — it didn't come down to that range again until 2009 when it hit 3.25 percent. The all-time high for the prime rate was 21.50 percent in 1980. Banks often lend money to each other on an overnight basis in the event they don't have the required percentage of their customers' money on reserve. Because they earn zero interest on customer reserve funds, they typically keep them as low as possible. Members of the Federal Open Market Committee determine the federal funds target rate. When the federal funds rate goes up, it's more expensive to borrow and less money is available for bank-to-bank loans. The fed funds market developed in the 1920s, but was not the primary instrument banks used to lend to each other. Instead, banks used stock exchange call loans and thus the call-loan rate was the interest rate on such loans. With the Wall Street Crash of 1929 and the onset of the Great Depression, the call-loan market declined and rates stagnated. From Dec. 1933 to April 1935 and May 1936 to Aug. 1946, call-loan rates remained at 1 percent. The Depression kept interest rates low in the 1930s and during the war years of the 1940s, interest rates were pegged. It was only after the Treasury-Federal Reserve Accord of 1951 that the federal funds market emerged as the main market for U.S. banks to lend and borrow money from each other. The current fed funds rate is 0.79 percent, up from 0.40 percent in 2016. From 1955, however, when it was 1.79 percent, until 2008, the rate was in single and double digits. 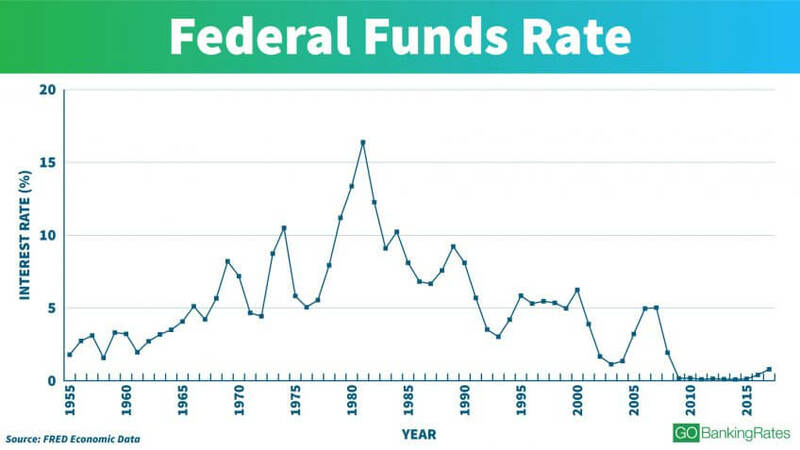 For instance, the fed funds rate rose to 10.5 percent in 1974, 11.19 percent in 1979 and 16.38 percent in 1981. It has steadily declined since 1985, and in 2009 was expressed for the first time in less than a whole percent: 0.16 percent. When banks can't borrow money from other banks, they borrow from the Federal Reserve — the discount rate is the cost for financial institutions to borrow these short-term loans. Federal Reserve Banks set the rate — the higher the rate, the more expensive it is for banks to borrow from the fed. Federal Reserve Banks offer three discount window programs to financial institutions: primary credit, secondary credit and seasonal credit — and each with its own interest rate. All discount rate loans are fully secured. Currently, the discount rate is set at 1.25 percent, up from 1.02 percent in 2016. 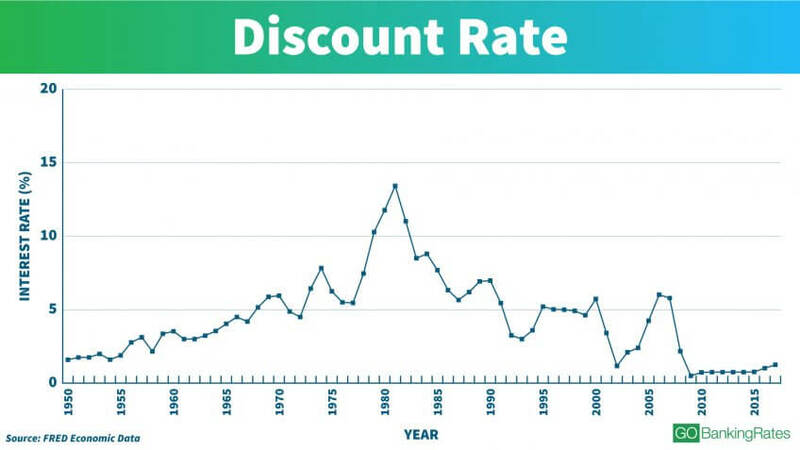 These rates are low, historically speaking — in 1950 the rate was 1.59 percent and it rose to a whopping 13.42 percent in 1981. In 2009 it reached its lowest point, 0.50 percent. Compare this information to 100 years ago, when the discount rate was 3.50 percent. Mortgage rates are beyond the control of your lender — the secondary market that buys and sells bundled mortgages sets them. Historically, mortgage rates have a relationship with the Treasury yield, which is the interest rate the government pays to borrow money. Mortgage rates have fluctuated a great deal. 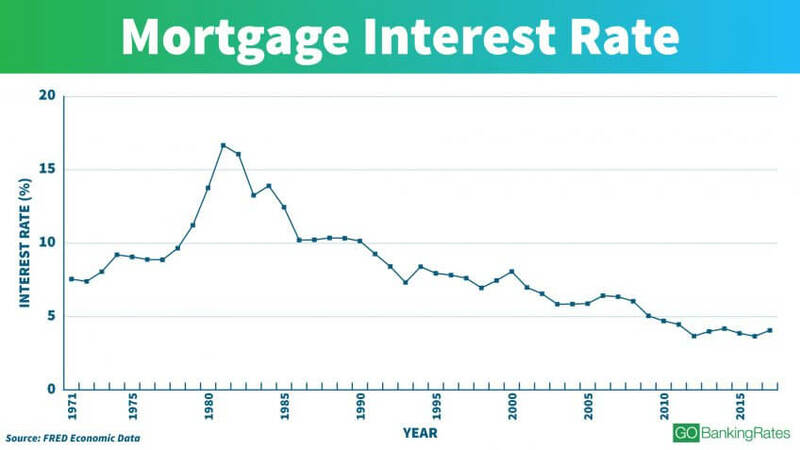 For instance, in 1971 you could get a mortgage with a 7.54 percent interest rate — that rate steadily rose until 1981, when you would have had to pay a 16.64 percent interest rate on a home loan. Rates on mortgages began to decline after 1981, but you still had to pay double digits until 1991 when the rate went down to 9.25 percent. Considering that today's interest rate on mortgages is 4.05 percent, you'd save a lot more now if you bought a house than in the past. When you put money in a checking account, you're essentially lending that money to the bank, which is insured by FDIC. The National Credit Union Association insures checking account funds that credit unions hold. Although some banks, like online institutions, give depositors interest on checking accounts, most do not. Banks that do pay interest on checking accounts don't tend to pay a lot. In 2010 the typical interest rate for a checking account was 0.11 percent and it has steadily declined to today's rate of 0.04 percent. Banks do give customers interest on their savings accounts, but the rate is typically pretty low — this is because a bank can get money from the Fed at a discount rate. So it doesn't make sense for it to pay you much more than it would have to pay on a government loan. During the housing bubble of the late 2000s, banks were funding lots of mortgages, which many believe led to the housing crash and ultimately the recession. To cover those home loans they needed cash. Reluctant to lend their excess reserves, they offered higher interest rates on savings accounts to increase their reserves. 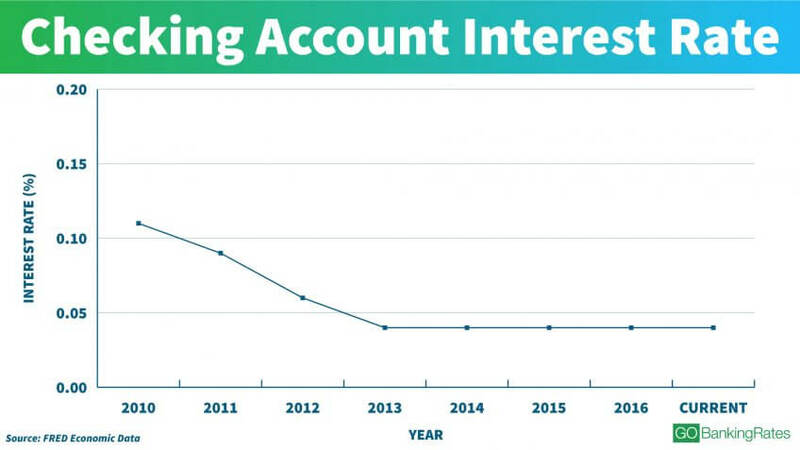 Savings account interest rates have declined since 2010 when the national savings account interest rate was 0.19. 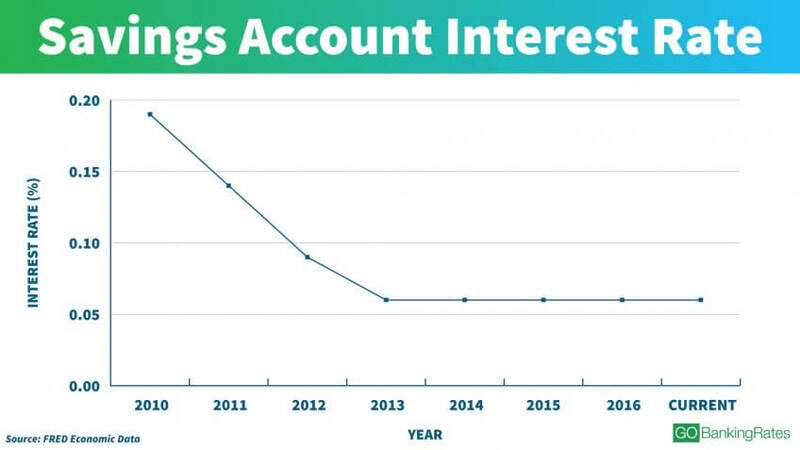 In 2017, the savings interest rate is just 0.06 on average — a rate that has held steady since 2013. Despite the low-rate environment, there are ways to get better savings account rates. Due to their lower overhead costs, online banks tend to surpass the national average more than traditional banks, so they often pass the savings onto their customers in the form of higher interest rates. Ally Bank, for example, offers a savings account rate of 2.20% APY as of today. In addition to lower interest rates, the rates at which Americans are saving has lessened over time. In 1959, Americans were spending 10.30 percent of their disposable income personal income, according to U.S. Bureau of Economic Analysis. This number peaked at 17 percent in 1975. In 2017, the personal savings rate is 5.90 percent. Like savings account rates, CD and money market account rates have also declined over time, though not as drastically. In 2010, 12-month CD rates and money market rates were 0.71 percent and 0.29 percent, respectively. In 2017, 12-month CD rates are 0.24 percent and money market rates are at 0.08 percent, as they have been since 2014. When it's easy to loan money, banks typically take risks on more marginal borrowers. If banks aren't careful and spread that credit too far, they can fail to meet required reserves and even go out of business. Banks can raise interest rates on credit cards only if you're more than 60 days late on your payment or when a promotional event expires — or if the prime rate goes up. In a strong economy, borrowers can refinance their homes to eliminate credit card debt. Currently, credit account debt numbers are level and outstanding balances are near what they were before the recession. Credit card rates today are at 12.54 percent, a definite step in the right direction for consumers, who paid 15.99 percent on average in 1995. 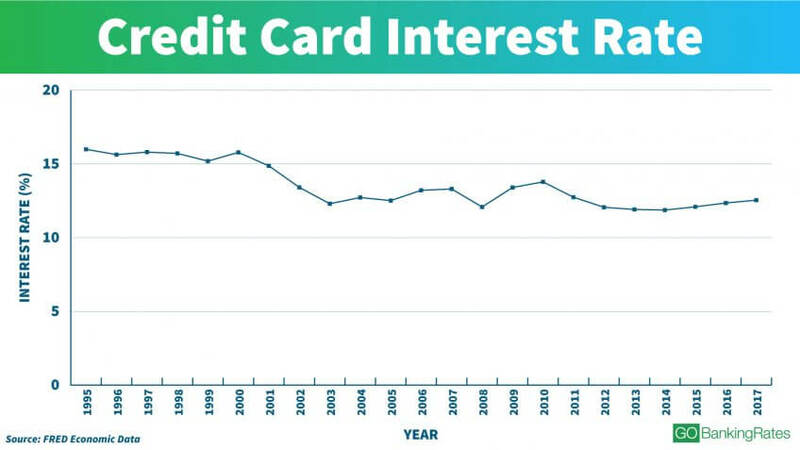 A steady decline in credit card interest rates since 1995 has made much cheaper for consumers to borrow money this way. 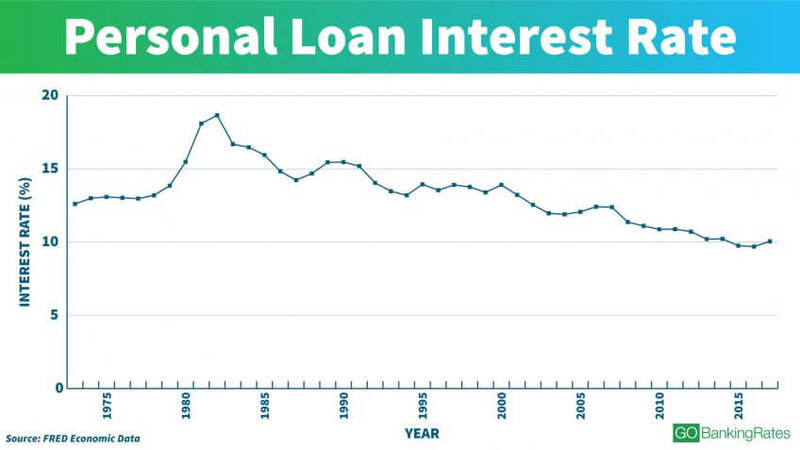 Personal loan rates have fluctuated since the early 1970s, but have ultimately decreased over the last four decades. For 24-month personal loans issued by commercial banks, rates are 10.05 percent as of February 2017, according to the Board of Governors of the Federal Reserve System. This is down from 12.38 a decade earlier in 2007, and more than 6 percent lower than the peak rate of 18.65 percent in 1982. Depending on your credit score, you could get a much lower personal loan rate, which could save you hundreds or even thousands of dollars depending on how much you borrow. Hopefully, some historical events won't repeat themselves. Former Chairman of the Federal Reserve Alan Greenspan and former Chairman of the U.S. Securities and Exchange Commission Chris Cox have made mistakes that cost billions. Criminals like Bernie Madoff have crushed investor confidence. And 9/11 cost the country almost $3.3 trillion. Today's interest rates — and those in the future — will be influenced by events that occur this year. These events might cover changes in everything from the exchange rate to housing prices to consumer confidence to wage inflation. Andrew DePietro and Laira Martin contributed to the reporting for this article. Find out how changes in interest rates cause a ripple effect across the market. How the economy can have a fluctuating effect on your interest rate.